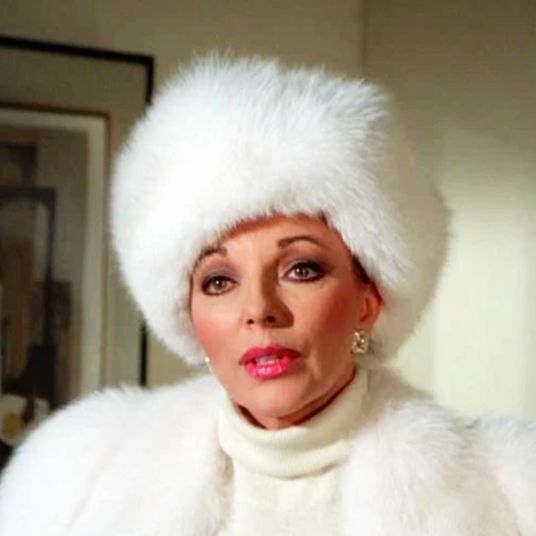 While it seems that the worst of the polar vortex is over, there’s still quite a bit of winter left, which means you’ll want to keep long underwear in your arsenal. 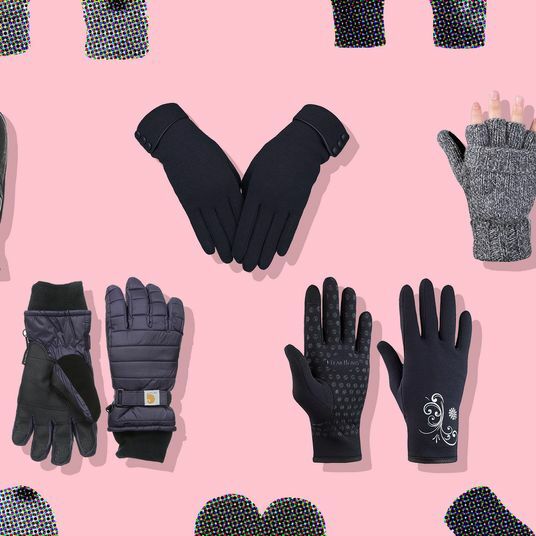 These next couple of weeks aren’t going to get any warmer, so we got in touch with gear experts, undergarment designers, textile savants, and snowboarding stylists to come up with a list of some of the best long underwear and base layers out there. 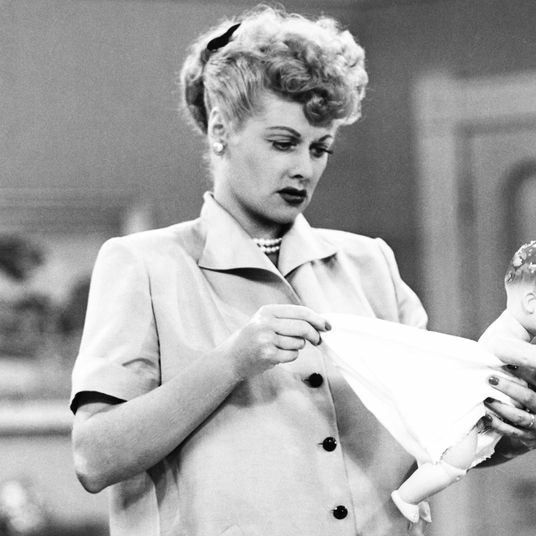 Below, the 24 best pairs that you can buy online. According to Sarah Savala, gear expert at Park City-based outdoor store Backcountry, merino wool is always a reliable choice for frigid temperatures. 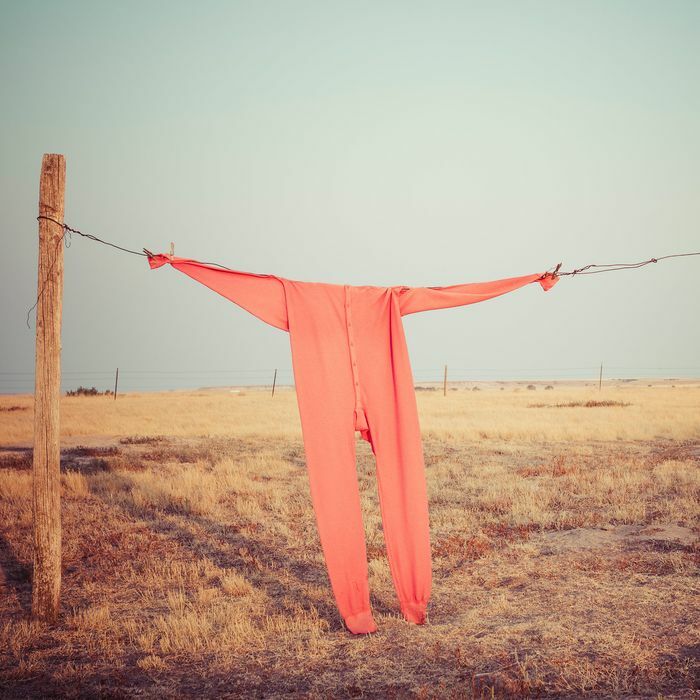 “My number-one recommendation for long underwear is merino wool,” she says. “It wicks moisture away from your body, which makes it extremely breathable and odor-resistant. It’s an active fiber that reacts to your body temperature, which will keep you warm in cold weather and cool in warm weather, making it versatile to wear year-round. 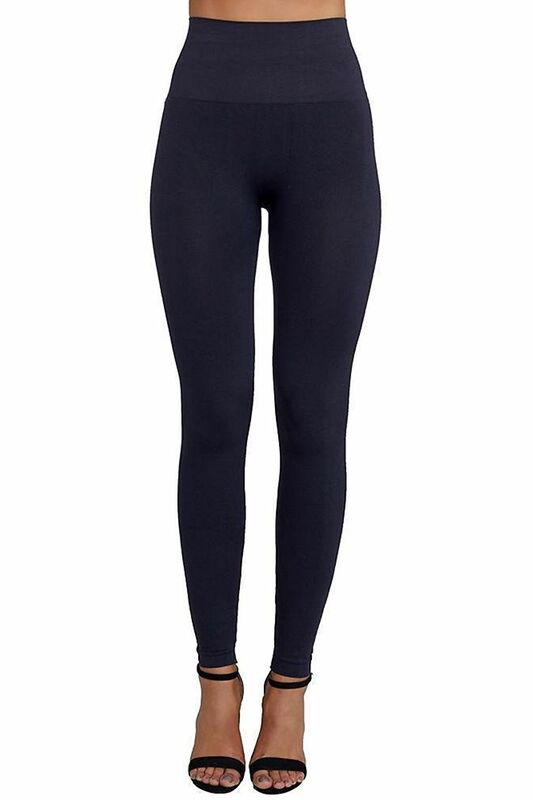 Unlike traditional wool, merino is very soft and feels very nice against your skin.” These leggings from Mons Royale are made from a 100 percent lightweight merino wool that’s ideal for layering. 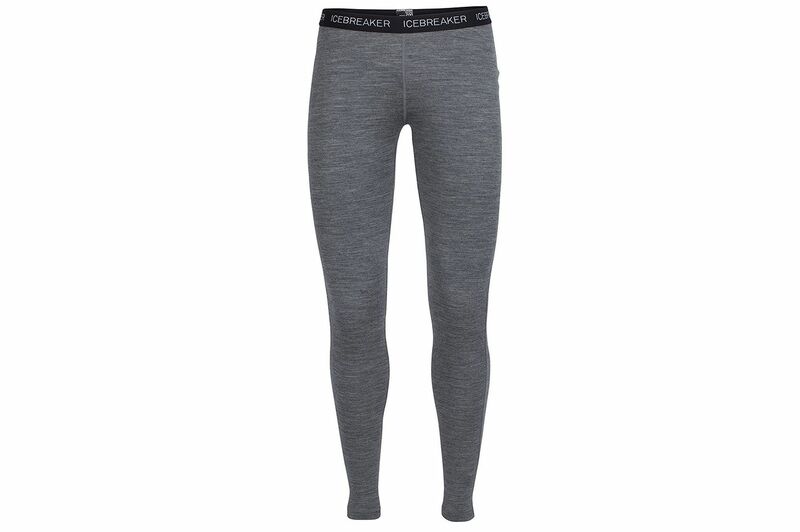 Here’s another merino wool pair that Savala recommends, this one from Icebreaker. 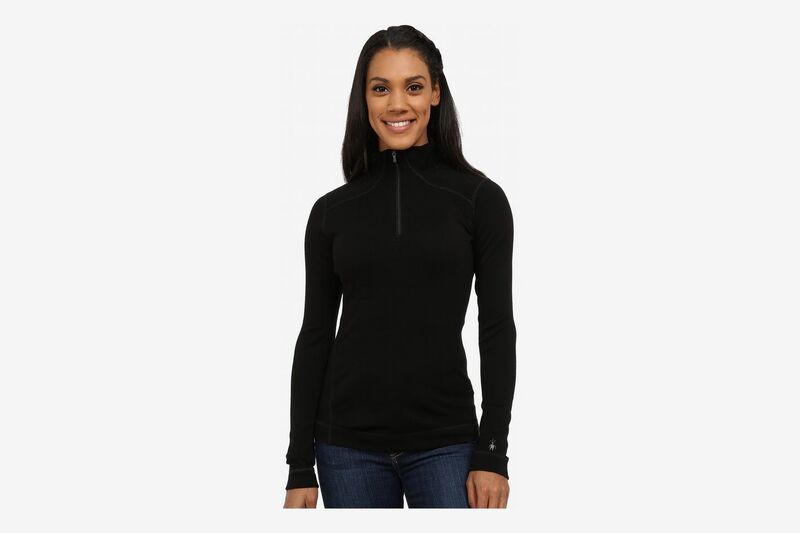 The rib fabric works as a base layer in cold weather and stays cool during warmer months. According to REI’s category merchandising manager Shelly Wilkinson, the best long underwear for extreme weather is Smartwool’s Merino 250. “It’s a mid-weight merino wool base-layer option that helps maintain comfort whether the climate is warm, cold, or in-between,” she says. “Merino 250 is the warmest base-layer option that Smartwool offers. 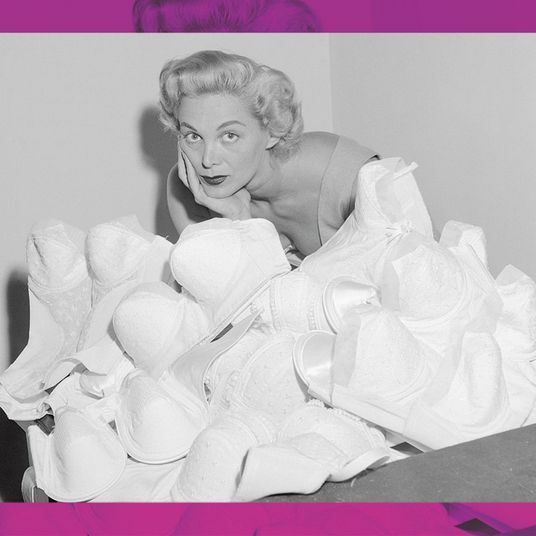 There are many silhouette options” in both tops and bottoms. 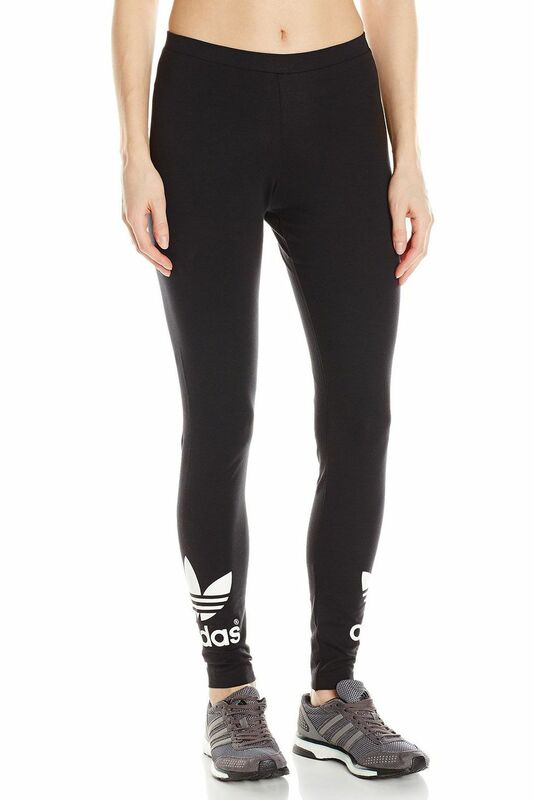 These leggings are breathable and odor-resistant. 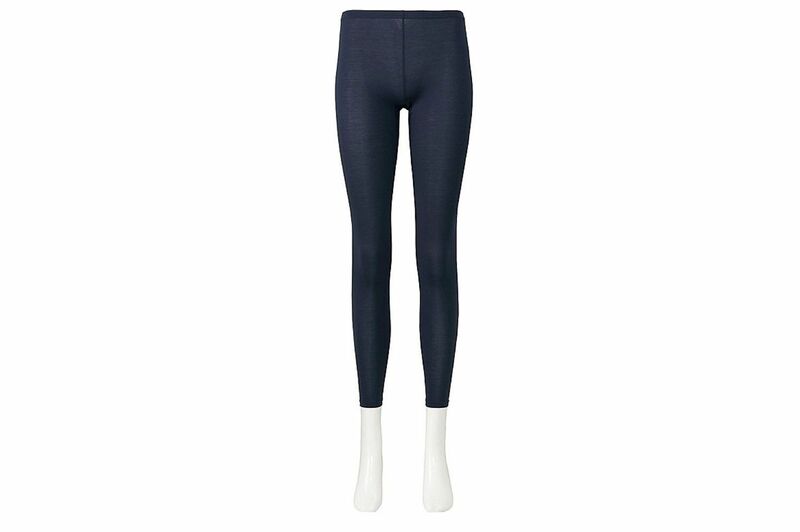 Savala and Danuzia also love Smartwool’s merino long underwear. 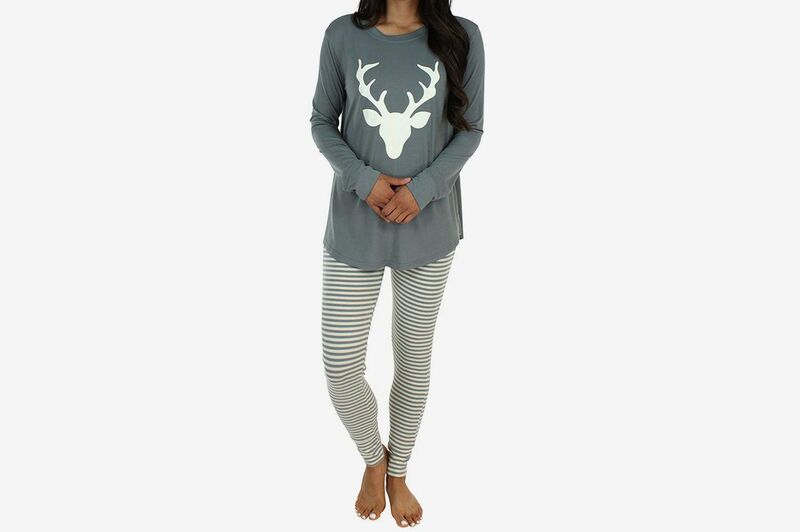 Pair the leggings with a crewneck long-sleeved shirt from the same Merino 250 line. 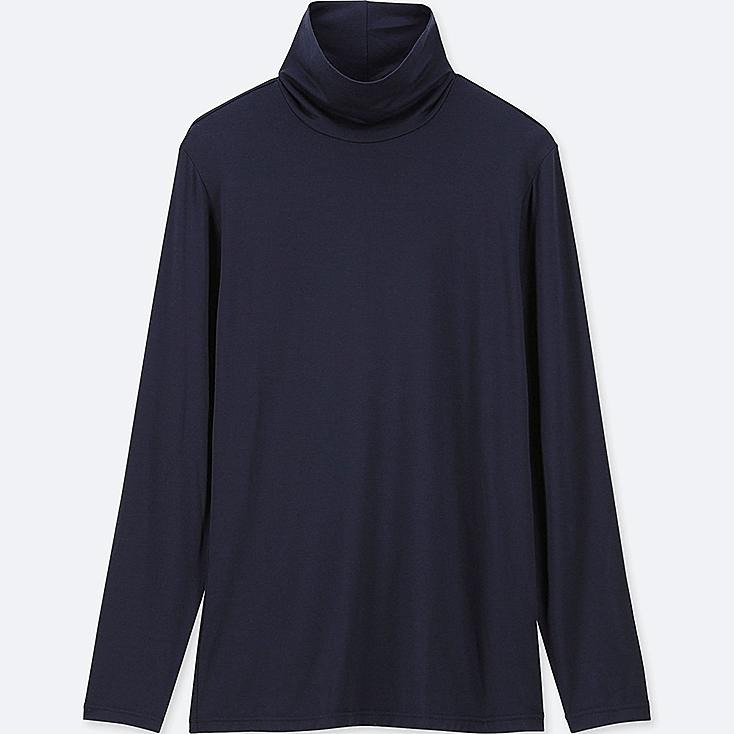 For extra coverage, try this zip-top mock-turtleneck option. 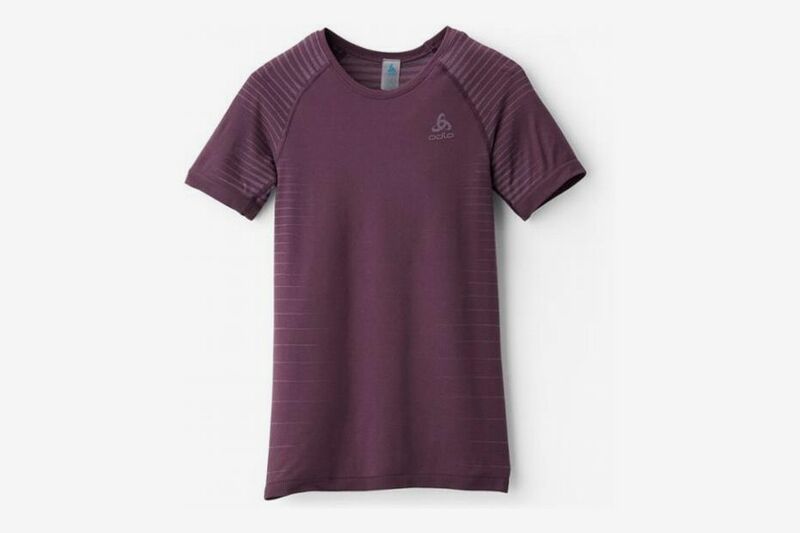 Or for something a little cooler, here’s this short-sleeved base layer from Smartwool’s Merino 150 line, a lighter counterpart to the 250. 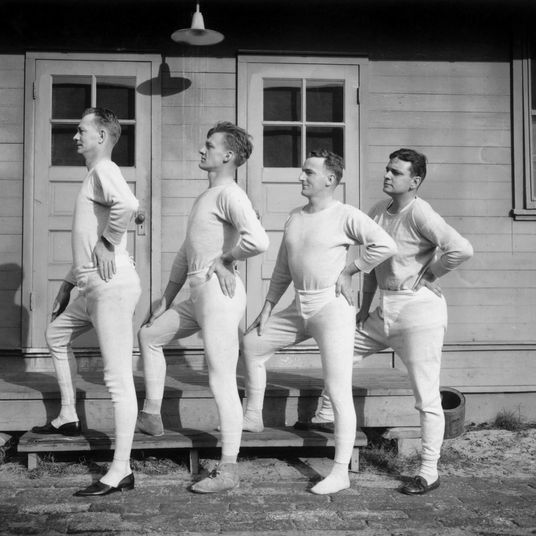 A natural alternative to woolen long underwear is base layers made from thermasilk. 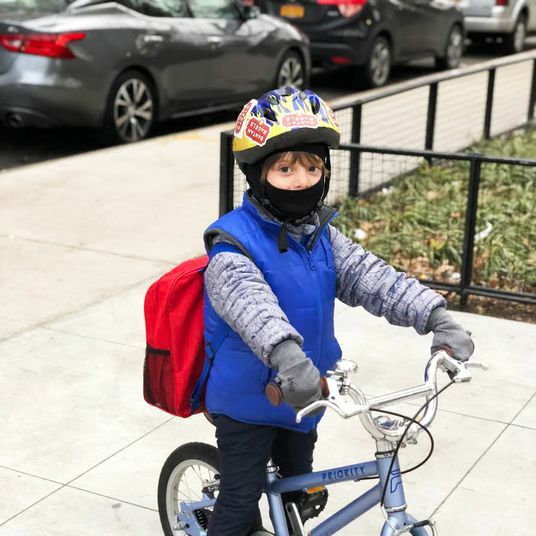 Daniel at Panda Sport in Brooklyn recommends Terramar for its lightweight and stretchy clothing. 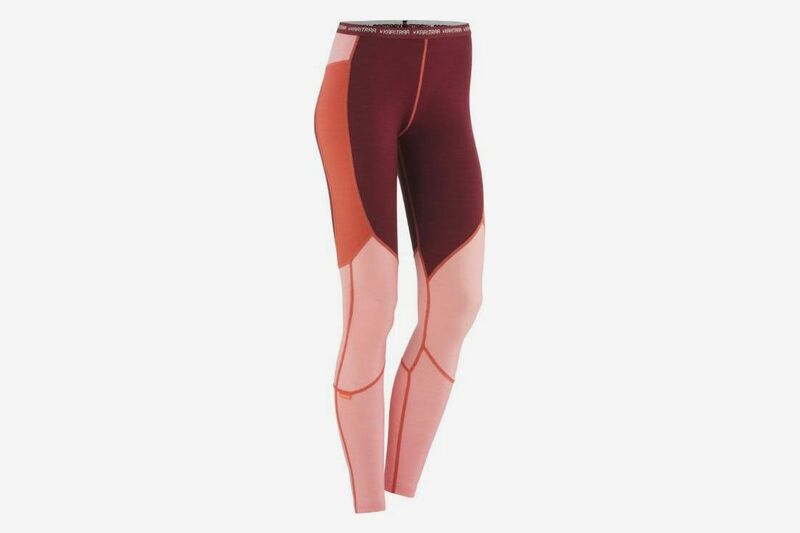 These leggings are made from 100 percent filament silk and are machine-washable. Here’s a top to go with the leggings. 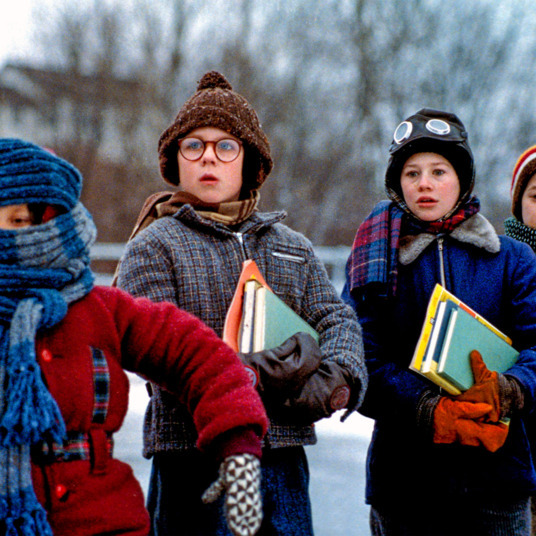 Wear them under your street clothes, or on a winter hike for added warmth that’ll also keep you moisture-free. 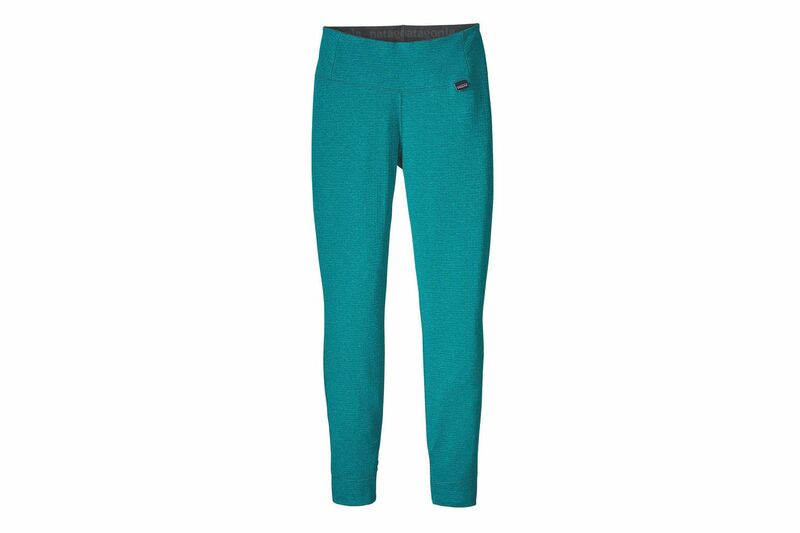 Panda Sport also recommends Hot Chillys’s long underwear for both outdoor activities and everyday winter dressing. 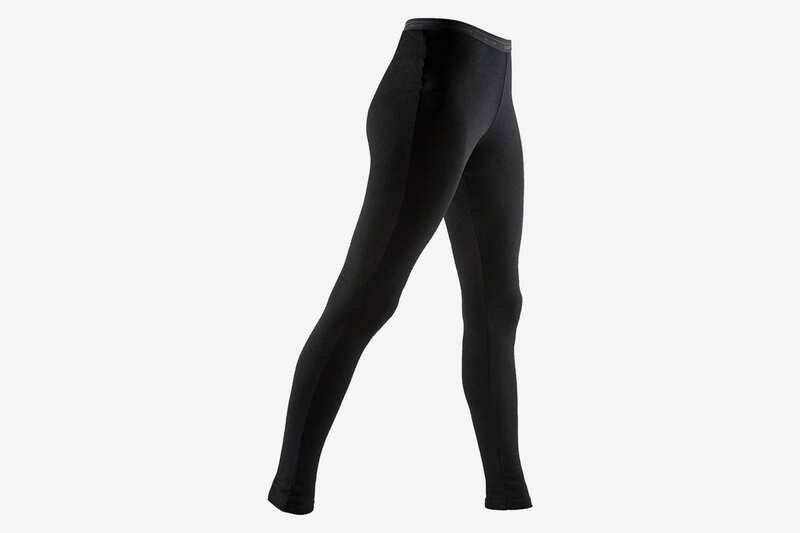 These leggings are mid-weight and are made from the company’s “micro-elite chamois,” which offers a four-way stretch, odor control, and moisture-wicking technology. 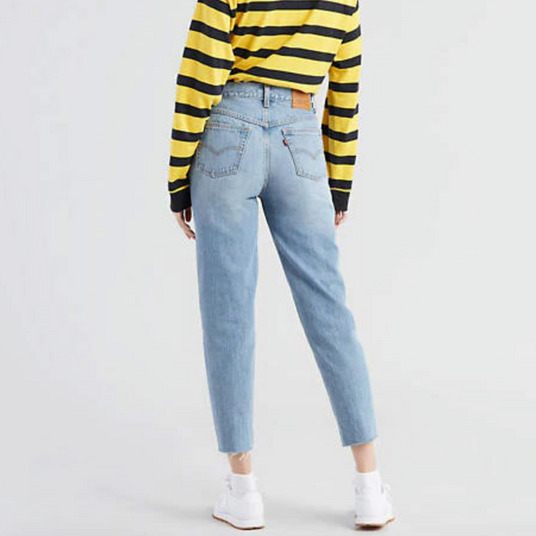 Here’s the matching top that can be worn in both cool and warm weather. Wilkinson’s pick for the best base layer for outdoor activities is Odlo, one of REI’s most technical brands. 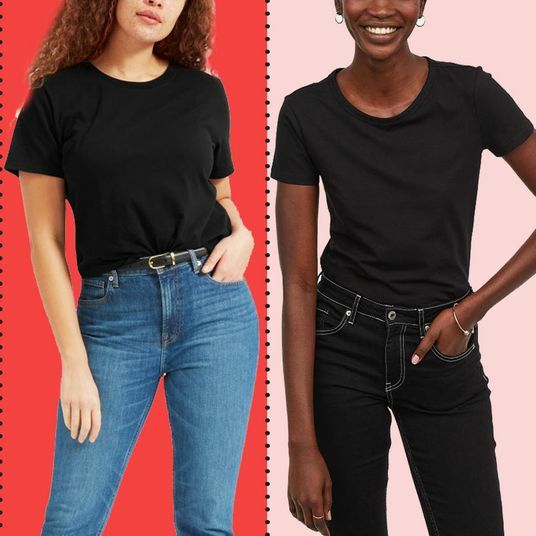 “Their new Performance Light collection wicks moisture and dries fast for comfort during high-intensity outings,” she says. 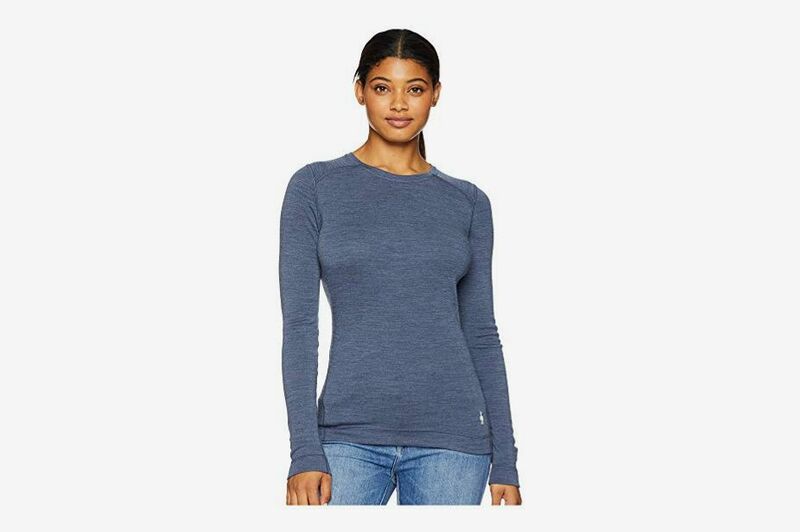 “Seamless integrated ventilation zones offer added breathability, and the design provides freedom of movement for comfort during activity.” This crewneck T-shirt is slim-fitting for non-bulky layering. 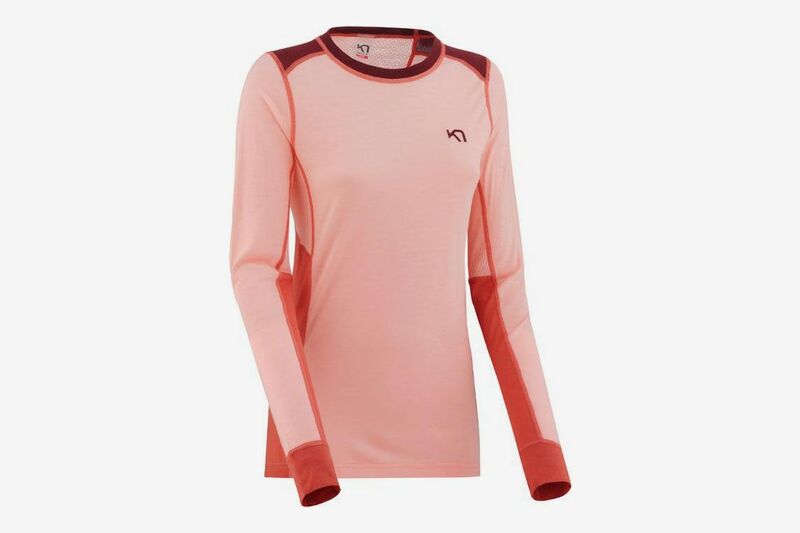 Another base-layer brand that Wilkinson recommends is by Kari Traa, “a three-time Olympic freestyle skier who started the brand because she felt there was a lack of choices for women with style and function.” Launched in Norway in 2006, the brand is now available in the U.S. “It is a brand ‘for girls by girls,’ with a strong color palette, fun prints, and unmistakable design,” says Wilkinson. 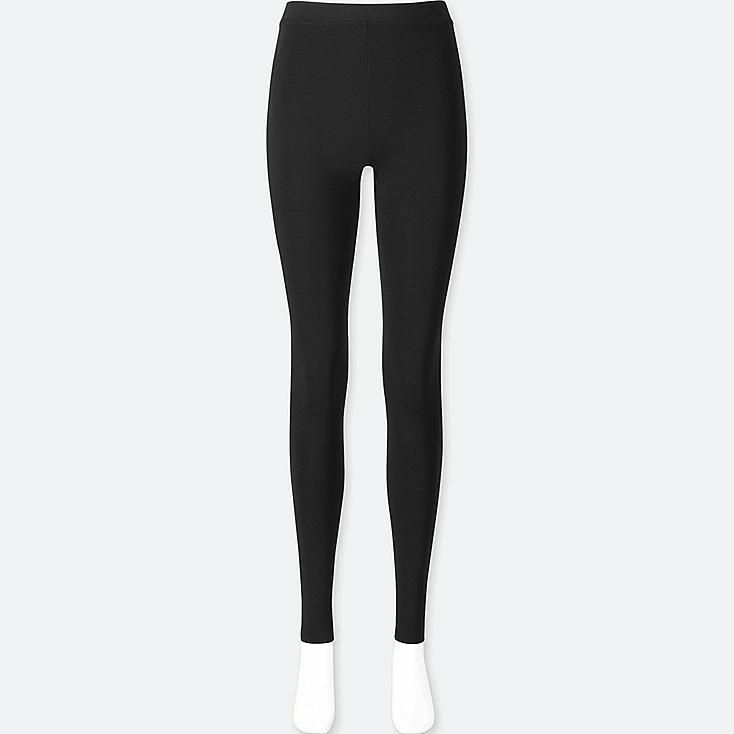 “Best known in the U.S. for its fun base-layer collection, which is mostly wool blends, the brand also offers a collection of outerwear and accessories.” These color-blocked leggings are made from a lightweight merino wool with four-way stretch. 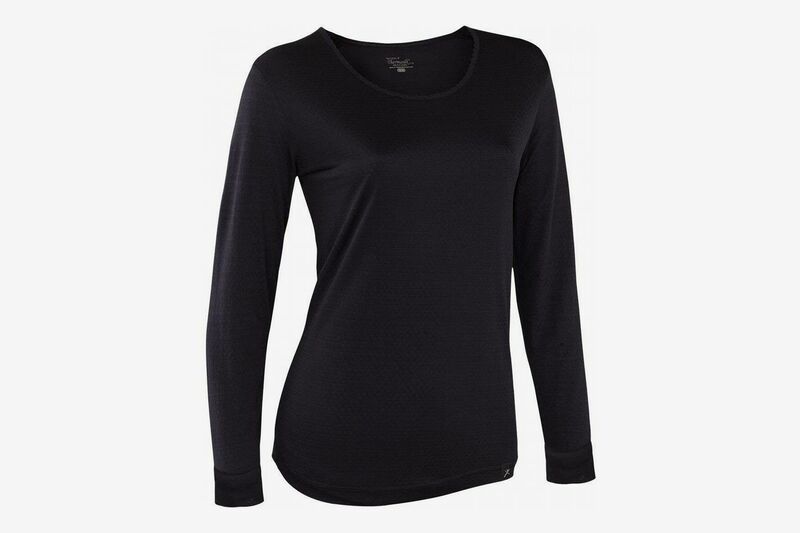 Pair the leggings with this merino wool base-layer top. 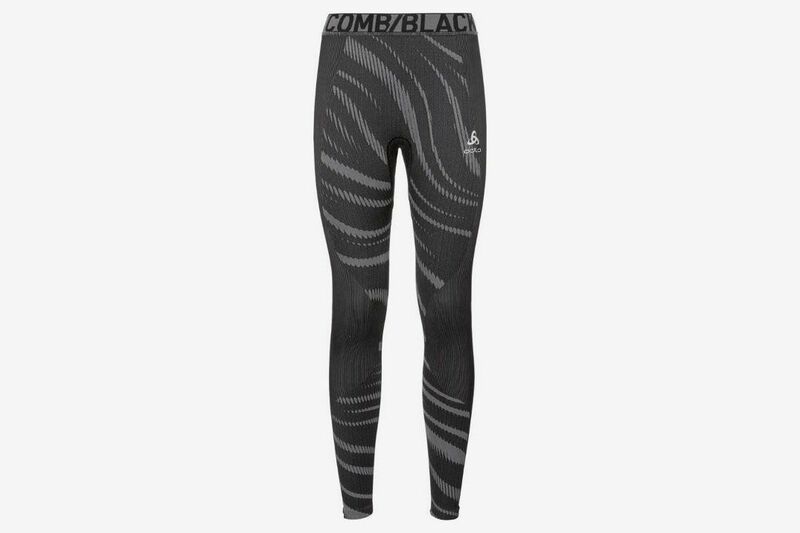 Or try these mid-weight leggings that feature a “brushed-grid interior” for extra warmth, breathability, and moisture wicking. Celebrity stylist Ashley Pruitt swears by Hanro’s leggings: “Hanro makes great products. 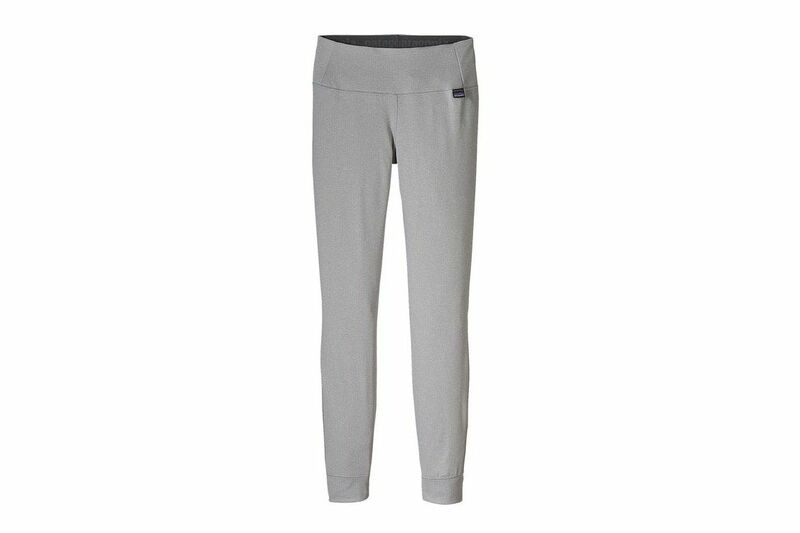 I love these because they’re not bulky under pants, and when you’re inside they don’t overheat. 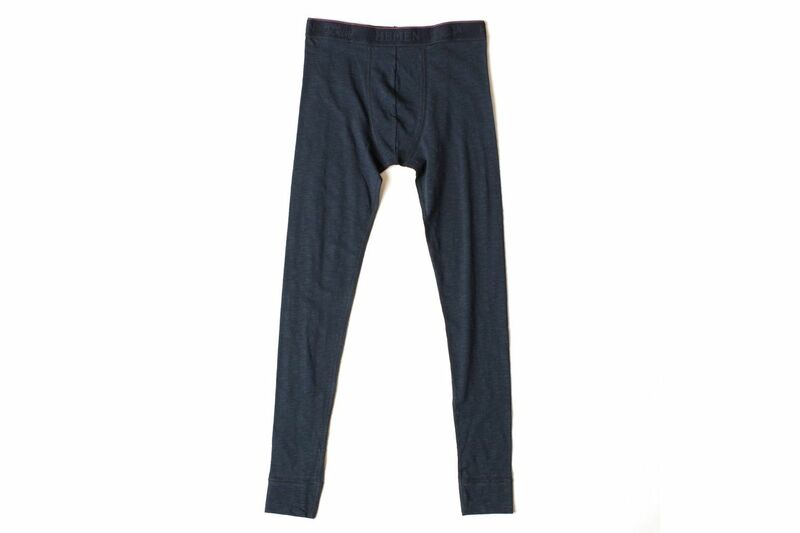 Bottom line, when you need to be warm running around, they’re great without constraint.” Made of a blend of wool and silk, these thin but warm pants move with you.